The Zero Waste Festival is back in Dublin this weekend with many workshops, meetups, swap shops and this year’s debut Repair Cafe. The festival will take place at the St. Andrews Resource Centre, Co Dublin and will be filled with many workshops teaching the craft of sustainable living, from smart laundry to managing the food waste and other DIY stalls. This year’s theme “Make it last” is hoping to show visitors how to consume sustainably with the debut of the event the Repair Cafe. The first Repair Cafe opened its doors in Holland five years ago now this trend is being adopted by more and more countries. The idea of Repair Cafe is to teach people to live sustainably by bringing back the tradition of repairing. Expert volunteers devote their time not only to repair items brought to them but also to teach people how to repair it themselves. The Repair Shop will operate in the festival from one till four, encouraging people to bring any items from electronics, wooden or any general repairs to jewellery or clothes and with the help of experts to learn how to fix them. The Repair Cafe initiative in the festival is brought together with the Community Reuse Network Ireland and Irish environmental charity VOICE Ireland to support local repair business and bring back the culture of repair. Various meetups will also take place during the festival where people are urged to take part and share their ideas and experiences. Revived Yarn, an organization of knitters, will have a knit-along meetup and is encouraging everyone to bring their yarn and knitting needles to sit down with like-minded and knit to help to warm up the homeless of Dublin. Zero Waste Market, with Information Stands and Cafe will operate all day where people will be able to purchase loose, refillable and packaging free items. As last year the clothes and books swap shops will be set up for the day of the festival. People are encouraged to bring old books and clean and fit for use clothes and swap them for other items. 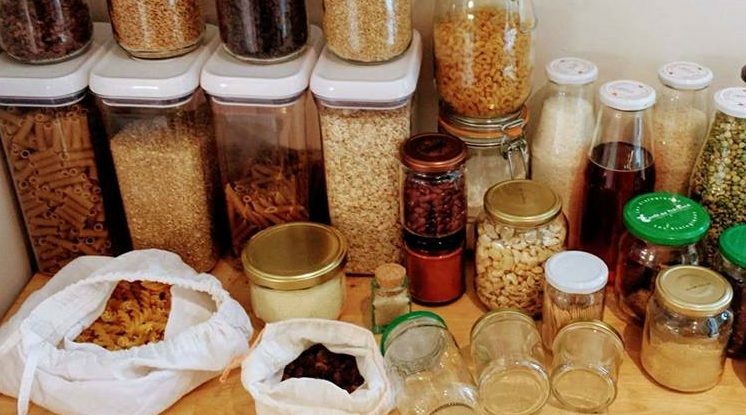 The Zero Waste Festival organized in June was a major success, following another a week-long Zero Waste Festival that took place in September. The increasing numbers of enthusiasts fighting to ensure sustainability more often organizes various events to inform and encourage public to start acting, with such example as the Sick of Plastic campaign urging people to stop using single-use plastic. World Environment Week that took place earlier this month was dedicated to tackle the plastic pollution urging countries to tackle the plastic pollution problems with such initiatives as single-use plastic ban.